The result of encounters between students of the Gerrit Rietveld Academy and visitors of the Rainbow foundation. 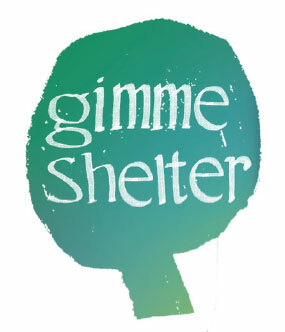 Students and visitors met regularly throughout November and December 2005 in the drop-in centres and user rooms of the Rainbow foundation…. A publication made by students of the Gerrit Rietveld Academie and visitors of the Rainbow foundation in Februari, March and April 2006 in the the user rooms and drop-in centres. A publication made by students of the AKV St. Joost/’s-Hertogenbosch, the Gerrit Rietveld Academie and visitors of the Rainbow foundation in the Fall of 2006 in the the user rooms and drop-in centres. 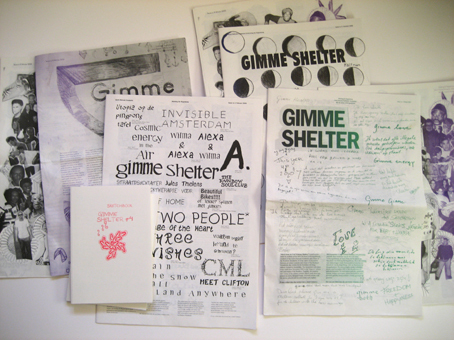 Gimme Shelter #4 is a special edition on drawing. The drawings in this issue have been collected in April, May and June 2007….